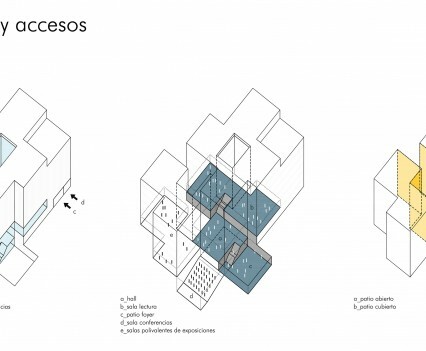 The building is situated on a plot, part of a heterogeneous area outside the walls of the historical city and spotted by the presence of isolated buildings with varied functions and scales. A building housing the National Archives could be understood as a large container, a huge chest, a safe to hold the cultural heritage and the collective memory of a community. 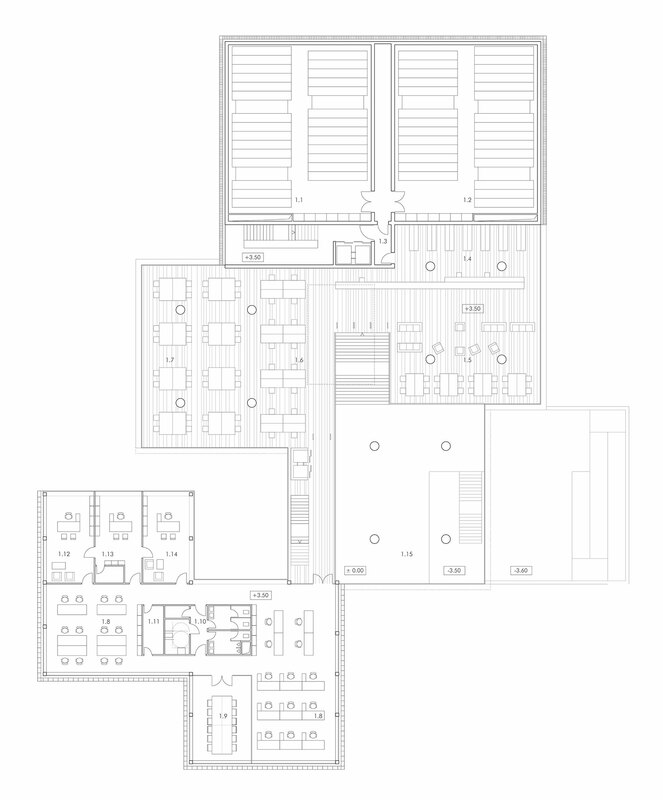 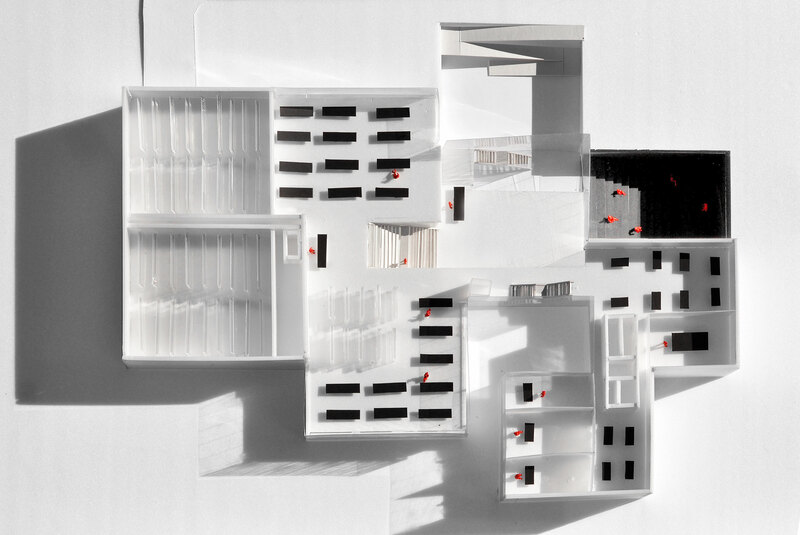 This has been the desired image to our building: a compact but fragmented volume, closed but keeping a discreet relationship with their environment, unitary and self-absorbed, keeping inside a valuable treasure. 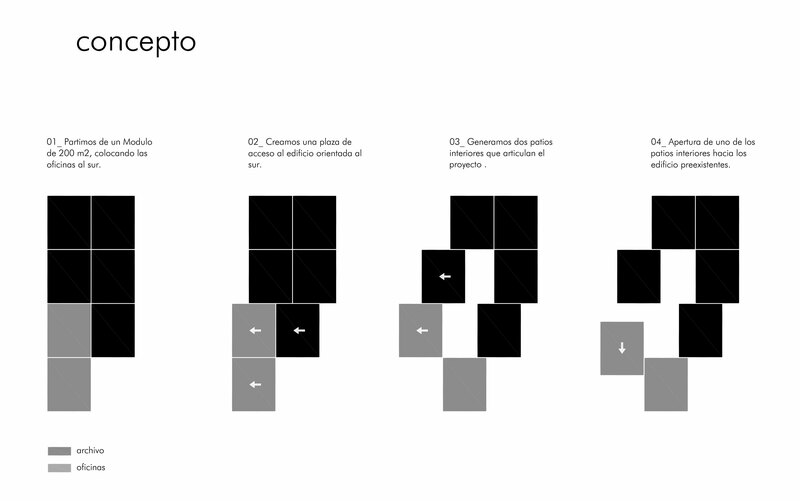 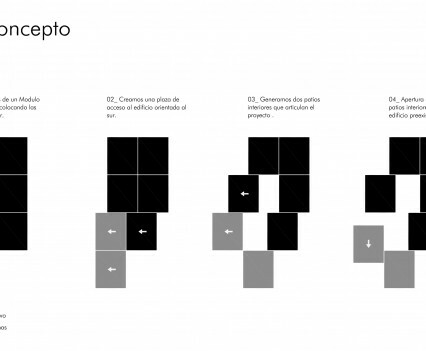 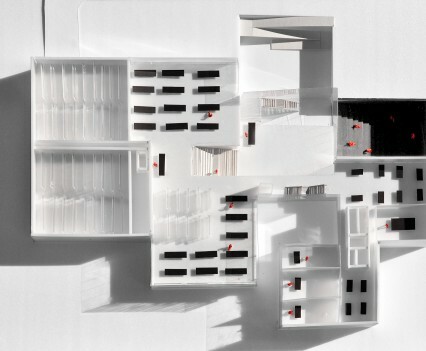 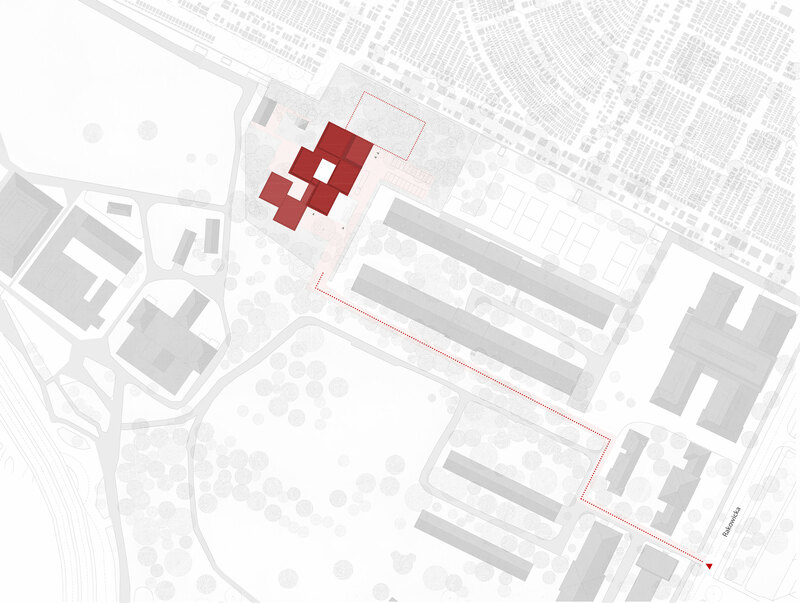 The proposal raises a set of modules that add up, slide or overlap in an action of progressive colonization of the plot. 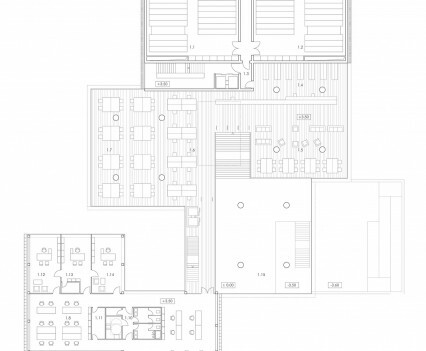 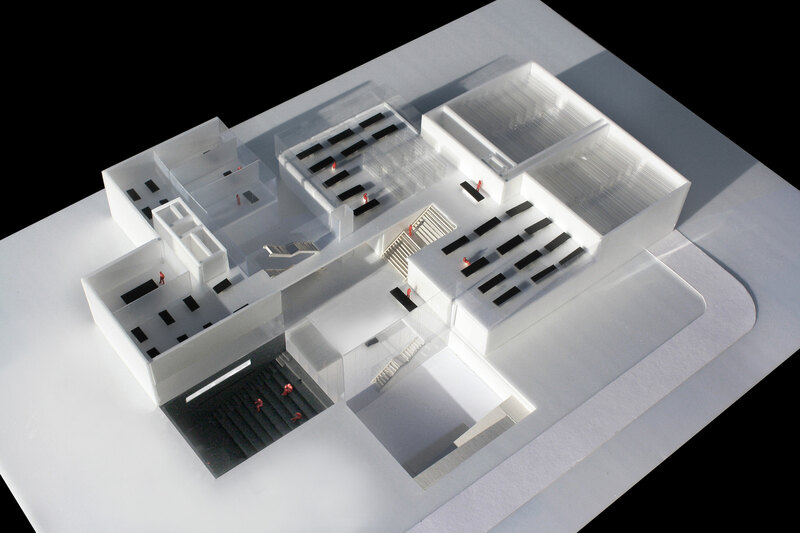 These modules are grouped and get close with the initial objective to give a satisfactory response to the program, but especially in order to create remarked interior spaces. 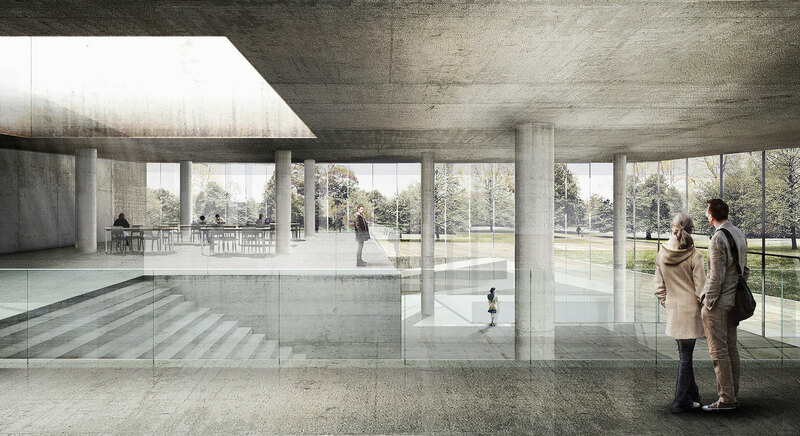 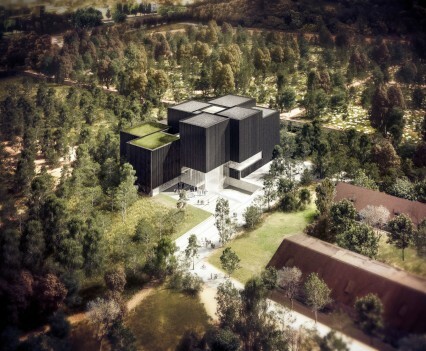 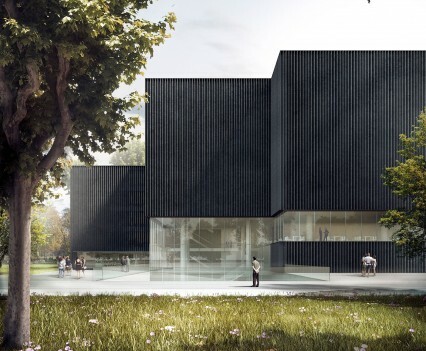 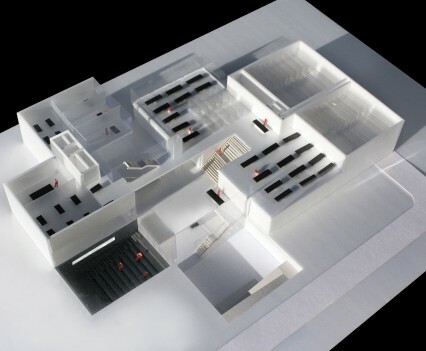 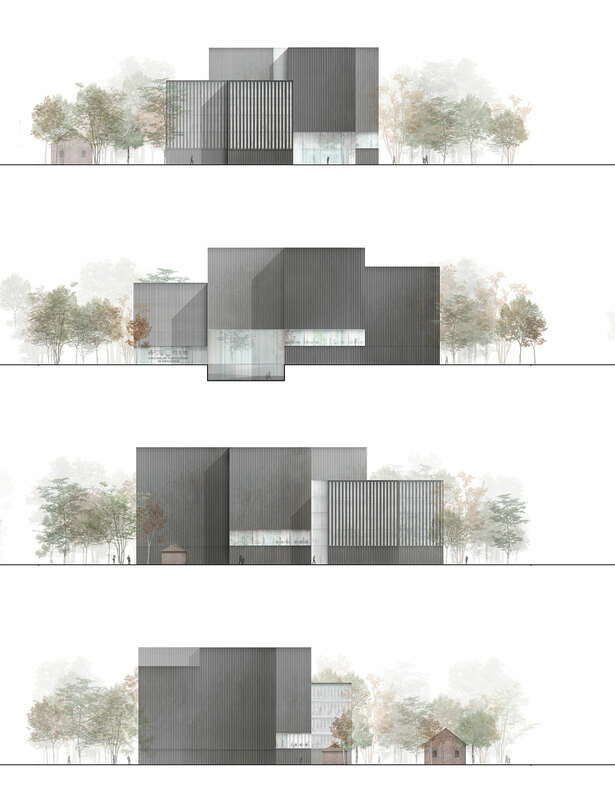 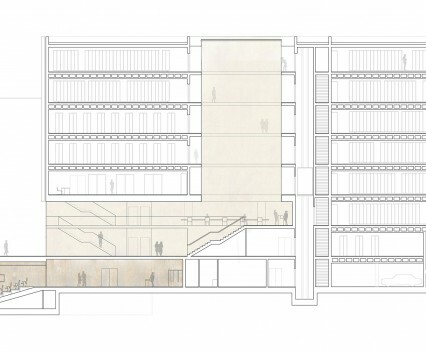 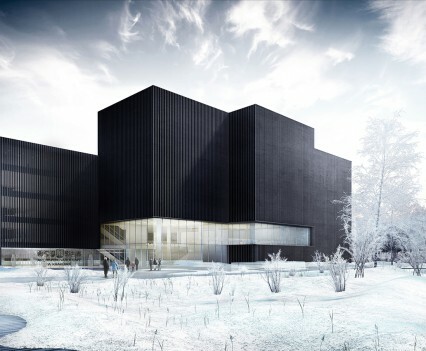 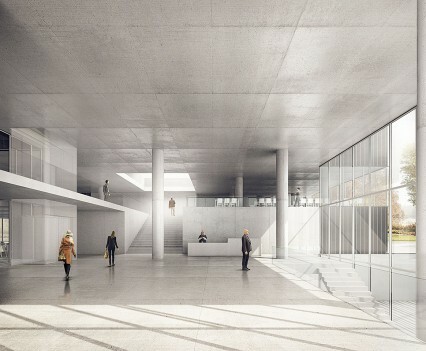 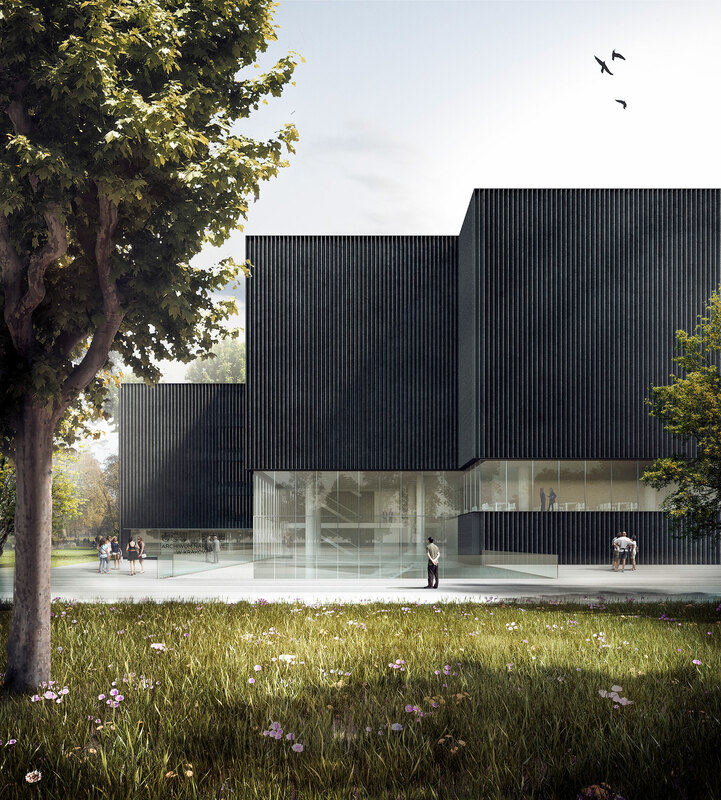 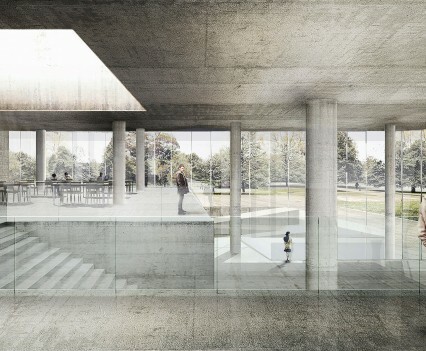 The proposal therefore reject the idea of ​​understanding only the National Archives as a document silo or as a store shelf, proposing on the contrary, a building highlighted by its interior space quality . 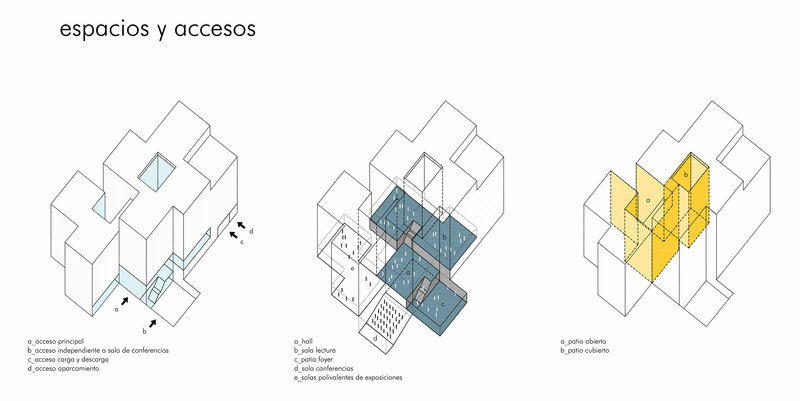 A fluid and continuous space defined by a vacuum that vertically cross all levels, where natural light, rarely for this kind of building, takes a main role. 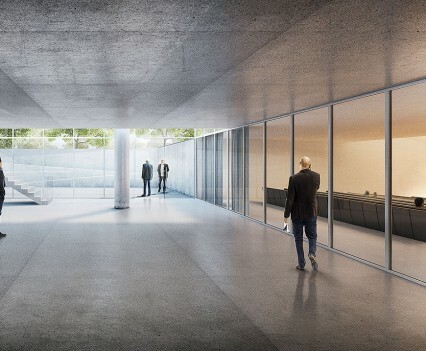 The cladding of the entire building is resolved with local ceramic tiles. 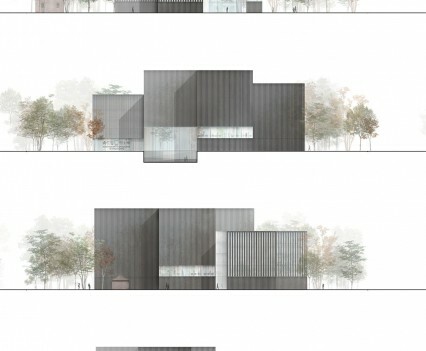 It is a delicate envelope of vertical slats, which are opened or closed depending to the program and allowing the unification of all the facades of the building. 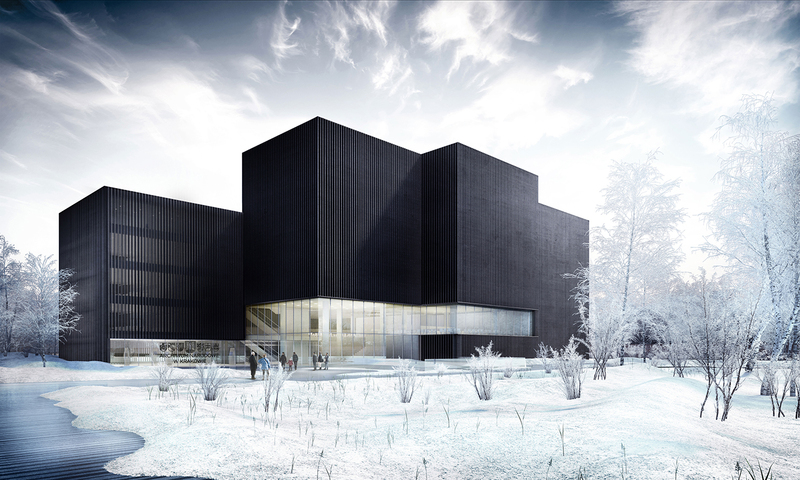 An envelope of a single material that offer diverse and changing images depending on weather conditions.